Check out my online income report for June 2016. June was the most exhausting month so far this year, and it’s been a tough year! This month I worked very long days to meet client deadlines. The past few months have been incredibly overwhelming; I even hired a personal assistant, but it has still been a challenge to keep on top of everything. Currently, I have 7 games in development and 84 games waiting to be shipped to clients (each game can take 5-30 minutes to package). That’s in addition to the constant ongoing maintenance, optimizations, and updates that the games need. I’m also writing my new book Learn To Make Games, running my consulting service, and publishing content on this website…all while answering dozens of emails per day, managing my social media platform, and of course seeking new profitable ventures and clients. You can see why I struggle to find any time for a break. I do have something to celebrate this month though: an important milestone. This is the 50th income report that I have written! I have been sharing my progress towards establishing a successful online business since all the way back in May 2012. It’s been quite a journey, and while my instinct is to say that it’s been a journey of highs and lows, it’s actually mostly been highs. I have enjoyed documenting my work, and I have especially enjoyed reading the thousands of motivating comments which I received along the way. 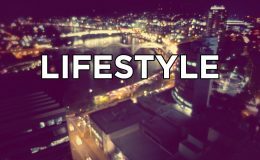 Since day one, my goal with this blog was to inspire people to make a living online doing what they love, and from the various success stories that I have received over the years I know it has done just that. Mission accomplished! I worked 164 productive hours in June and took 10/30 days off (tracked using RescueTime). I’m currently playing Albion Online, watching Ray Donovan, and High-Rise was the best movie I saw this month. 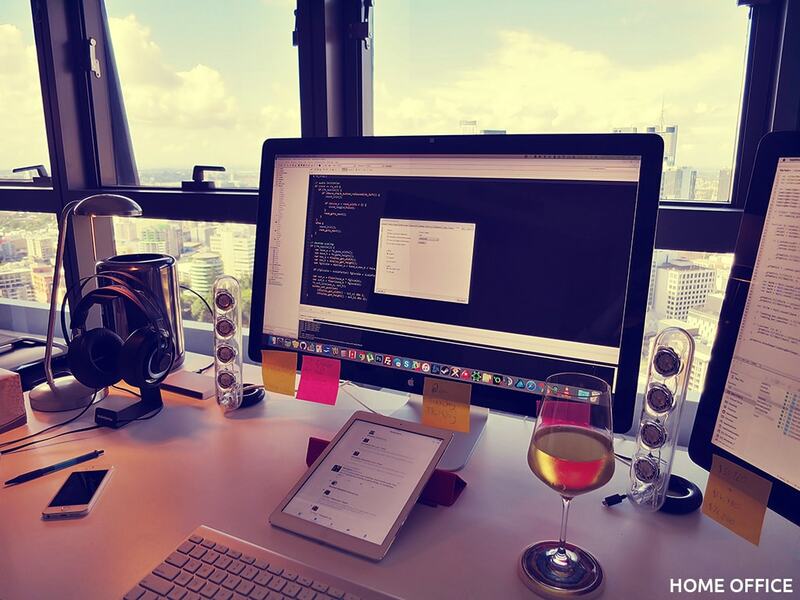 Bonus : this photo of my home office was viewed 250,000+ times on Reddit this month. Here’s a quick look at how my online platform performed during June 2016. The games I publish were played 918,515 times (37,905,120 total). Once again, traffic to my HTML5 games was slightly down. While I had expected to be consistently serving over a million players per month by now, it seems like this figure can still fluctuate by about 20% in any given month. Holidays are the main factor that affects this – the more time that people have off work, the more plays I get. This month I published a new game called Jungle Slider, and I’m also working on a wave-based survival shooter called Mech Assault. My websites were viewed 29,420 times (5,813,826 total) by 13,917 unique visitors. Website traffic was also slightly down this month, which isn’t a surprise since May’s income report was much shorter than usual. Lately, I have been lagging behind in the blogging department. Writing these income reports is incredibly time-consuming, and this year I have been so much shorter on time than usual. It’s been difficult to balance work with blogging but I still publish at least one post every month. I have a total of 44,747 subscribers across various platforms, up 761 from last month. Social media growth was fairly average in June, with Twitter growth leading the way as usual. I have been steadily growing my newsletters for several years now, and I’m finally satisfied with the state they’re in. Traffic from these sources, in particular, has been consistent and high quality. It’s been another crazy month, and I’m thrilled to report near-record earnings for the second time this year! During June 2016 I earned $19,066 USD solely online ($309,894 total), up $17,036 from last month. My average income over the past 12 months is $7,256 so this was a significantly above average month. While this is the ninth time that I have reported a five-digit profit, these sorts of numbers continue to blow my mind. This is life-changing money that will go a long way towards achieving my goals and dreams. Of course, I still had to work for every dollar, but I’m under no illusion that I work harder than other people for the same money. 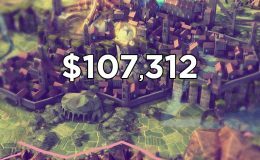 I’m so incredibly fortunate that I can enjoy the comforts of working on video games from home and still succeed financially; that’s a rare combination. Since this is a special report, let’s delve into each income sources in more detail. If you’re already familiar with my income sources you can skip to the lifetime summary below. It has been my goal to avoid becoming reliant on advertising ever since I posted my first income report. Relying on advertising is lazy because if you have the traffic to generate any significant amount of money from advertising, you could be making a bigger profit with direct product sales. Why advertise other people’s products when you can sell your own? I don’t have any prominent third-party advertising on my websites, although I make occasional exceptions for affiliate referrals which I count towards this income category. For example, I recommend that people use Bluehost to start their own website, and I get a referral payment if they sign up (it doesn’t cost them anything). Unlike many other online marketers, I only recommend products and service that I have used myself and think are truly worthwhile. I’m also occasionally paid for text/banner advertising, but since my own products perform so well I have to charge high prices to justify third-party advertising. In total, I have earned $7,296 from advertising since May 2012. I started accepting pre-orders for my first book in July 2012. Making Money With HTML5 is a niche product that took 7 months to write, and my goal was to earn just $2,000 from it at the time. I have always had a passion for writing but I don’t consider myself to be a particularly skilled writer. In fact, part of the reason I started publishing income reports in the first place was to improve my writing. 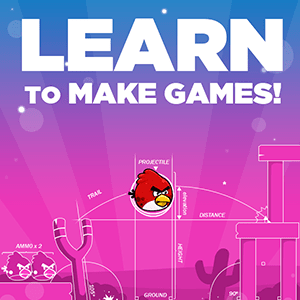 Making Money With HTML5 went on to be a huge success, and now I’m working on my next book called Learn To Make Games. Book sales have been an incredibly consistent source of income and validation for me. They counteract the volatility of my other income sources, too. In total, I have earned $32,479 from book sales since July 2012. I launched my HTML5 consulting service in July 2014 just after I moved to the city. I was looking to further diversify my income, since I had increased my living expenses, and this was an experimental source of income that I wanted to explore. While consulting is some of my most time-consuming work, the service really took off and has done consistently well. I have also learned a lot from my clients, as they usually have ambitious goals and diverse backgrounds. Helping other developers build their own successful online business is gratifying work. In total, I have earned $12,020 from consulting since July 2014. Licensing web games to companies has been my primary source of income for as I long as I remember. It’s the gift that keeps on giving. My first HTML5 project was a Japanese-themed sudoku puzzle game that I managed to sell to several game portals. This ignited my interest in commercial HTML5 game development, and since then I have published 40+ games on my site and developed 20+ games exclusively for clients. I have invested so much time and energy into building my business around this incredible technology, and it has really paid off. I’ll be making HTML5 games for years to come, even if they stop making money. It’s one of the best technologies of the past decade. 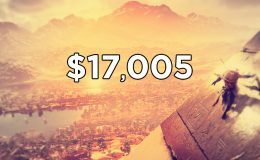 In total, I have earned $247,742 from HTML5 games since May 2012. Here’s a general overview of my various income sources. I have always had a rough idea of what I’d earned from each income source, but this is the first time that I’ve gone back through all of my reports to tally up the totals. Sales of my HTML5 games are clearly the most impressive figure, but I’m particularly proud of the book sales category. I’m a self-published author, and I had absolutely no experience with professional writing or publishing when I started out. To see my book Making Money With HTML5 perform so well, and receive so much positive feedback, is a great feeling. Throughout the rest of the year I’ll be focusing on game production and finishing my new book Learn To Make Games. I have taken on a co-author to speed up production, so hopefully I will have some real news about it soon. I’m also experimenting with porting a few of my HTML5 games to the native iOS/Android app stores, but this is mostly for fun and not profit. Finally, I plan to build a HTML5 networking framework later this year so that I can start adding multiplayer functionality to my games. But for now, it’s time to wrap this one up. I hope you’ve enjoyed this special edition report. This is great news Matthew! I’m reading your blog since 2012. Your progress is awesome. Thanks for following my work all of these years! I hope it long continues! I have a question, do you do your own graphics or outsource them? I’m looking at doing html5 games but I’m a programmer rather than an artist so I wondered if it was still viable to buy the artwork in? Hi Lain – I work with a small team to produce these games. I’m certainly not a skilled artist; I hire one. Well done, it is a huge achievement! Thanks Mitchell. Always glad to hear your feedback! congrats on these incredible achievements! Could you please clarify your HTML5 games income part. How many percent of it do you make by licensing to game portals and how many by client work? Thanks! The percentage varies a lot depending on the market. I’ve had years where 95% of income is from licensing, and others like this year so far where 50% is from licensing. I don’t mind a good mix, but I prefer licensing over client work. Do you deduct the cost of the outsourced work from the income above, or is that the gross income? I hope your new book will have a chapter on how you track your game plays, and any security measures you take to protect your games. I would be very interested to read about that. Thanks Allan! I report the gross revenue since expenses are often only clear months later. For tracking gameplays, you can use a service like Flurry or code your own with a few simple PHP scripts. Your basic security measures should include code obfuscation and a sitelock mechanic. I’m really glad that you found my book helpful. Thanks for your support, and good luck with everything! Thanks! I miss creating online games, but hopefully with the multiplayer engine that I’m building later this year I can start to get back into that field of work. First off, great blog, super inspirational! Second thing, how to you keep track of your social media? Any particular software or app you use? I’m trying to keep sane here but all these different social media sites is really giving me internet AD-HD. Thanks Ted – I actually manage all of my social media manually, although I find Tweetdeck to be really useful. I have done a lot of research into all of the social media tools that are available but none of them really appeal to me. To keep things manageable, I only focus on Twitter and Facebook as far as social media platforms go. Matthew, thank you very much for this inspiring report! Btw what code editor / IDE is on the screenshot? Thanks! That’s GMS running in that shot. May I ask – is all these games are made in GameMaker?